When the locking mechanism on your safe fails or you have forgotten the combination, allow our security safe service to be your personal safe crackers. Rest assured that we always require verification of ownership before our team unlocks a safe. Do not let a broken lock come between you and your important possessions. We understand that you may need access to certain documents right away, so our team works swiftly to open your safe as soon as possible. 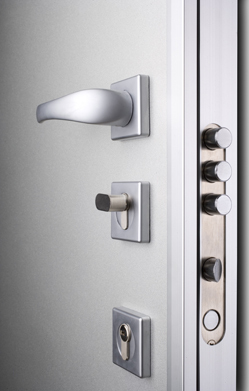 Even though there are many safe models on the market, we are capable of unlocking any of them. There is no need for you to use a crowbar to break the lock or open your safe. The experienced locksmiths from our security safe team have the tools and training to unlock your safe in an instant without damaging it in any way. Turn to our expert safe specialists for prompt and efficient services to change a safe combination. Very few professionals are equipped to unlock a security safe properly. By nature, safes are designed to keep intruders out. Fortunately, we are experienced and reliable professionals that want to help you gain access to your own locked-up possessions. Rather than trying to forcibly pry open your door in a hurry, we utilize advanced technology and careful methods to unlock your safe with ease. Some of the techniques we use during our services include drilling or scoping your lock. The type of safe you have will determine which method we choose to perform. When it comes to opening a safe correctly, there is no one-size-fits-all approach. What works for some safes may not work for others. If you want to be able to use your safe again once it has been opened, it is essential that you hire a trained professional to crack open the lock for you. Because we are a fully licensed, bonded, and insured company, you can trust that you will receive the highest quality security safe service for your locked box. Avoid damaging your stubborn safe or lock when you choose to rely on the skills of our expert safe crackers. We are available 24 hours a day, so you never have to wait long for your lock to be cracked. Whether you are dealing with an electrical problem, a mechanical issue, or you simply cannot remember the combination, our team will arrive to your location right away to provide trusted assistance. Solve your lock problem in record time by getting in touch with our company as soon as you notice that your safe will not open. If too many people know your safe's combination, then it's probably a good time to change it. It's the best way to keep your valuable contents secure. Rely on our professional locksmiths to provide services to change the safe combination. We have the tools and experience necessary to do it correctly and quickly. This is especially important if you've had a recent break-in. Don't take chances with your valuables. Allow us to keep them safe in your safe. If too many people know the combination to your safe, then it is probably a good time to change it. The best way to keep your valuable contents secure is to only give the combination to a select number of people. In addition, safes for companies should have their combinations changed any time an employee who had access to them leaves. Keep your company information confidential and go about your business worry-free by relying on our professional locksmiths to change your safe combination. Safes are designed to put your mind at ease about the protection of your most important possessions. If there is any chance that someone else can get their hands on your combination, you are likely going to worry about just how safe your valuables are. Let us change your safe combination and take away your anxieties about your belongings. Our service is especially useful if you bought your safe used or you just had a recent break-in. Do not take any chances when it comes to the safekeeping of your treasured items. Get your combination changed right away to keep your items locked up tight. Is your safe malfunctioning or giving you problems? Turn to our lock safe team to resolve your issues and enjoy a reliable safe once again. Getting access to your personal belongings should not be a hassle. Our experts are here to stop your lock from getting stuck and keep your door opening successfully every time. With our thorough attention to detail, we examine every part of your safe to determine the source of your problem. Safe locks are complex items with many working parts, such as drive pins, fences, wheel notches, spindles, and drive cams. When one of these parts stops working, it can have a huge effect on the entire device. Let us take a look at your safe and get your problem taken care of. Once we are finished, you can sleep easily at night knowing that your belongings are safe and secure again. Pittsburgh, Southside, Shadyside, Green Tree, Gibsonia, and Monroeville, Pennsylvania.